Chocolate is synonymous with indulgence and sinful desires, and the same goes for wine, so it is natural that they should be good together. The wine experts give some wines which go very well with the extravagant sin of your favorite chocolate. Try the Chocolate Espresso Pots de Creme which is rich and dark, and it enhanced when it is paired with a nice aromatic cabernet. Some of the ideas to pair wine with chocolates are as follows. 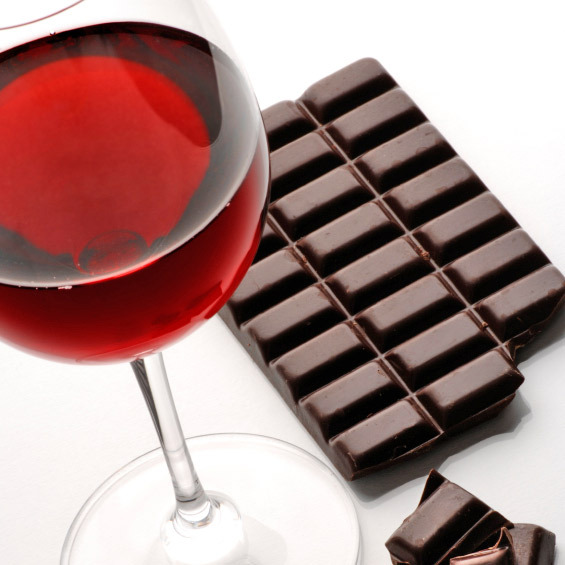 The biggest mistake you can make while pairing chocolate with wine is to pair it with sweet chocolate. The best chocolate to go with it is Chocolat Grand Amer, 85% cacao, from the Paris house of Michel Cluizel. All of the wines pair really well with this extremely dry chocolate because of the coffee-bean bitter quality that it possesses. The simplicity and austereness of this chocolate makes it a perfect background for any wine, even the California Cabernet which is one of the richest wines available will work very well with this chocolate because this is one un-sweet sweet chocolate. The best to go with it however are the spirits that do not sit quite as well with all the other sweet chocolates.